The home of North East art is often thought to be on the south bank of the Tyne at the Baltic Centre for Contemporary Art, but the Laing has proven itself more than equal to the challenge of its rival across the water. Although not as well known, the Laing does an excellent job of attracting some of the best art in the country to the North East - such as the exhibition of Jonathan Yeo portraits now on show. Possibly one of the most eclectic museums in the county, the Great North Museum houses, among other things: A full size replica of a T-Rex skeleton; a fully interactive model of Hadrian’s Wall and a planetarium. It is also home of the Shefton collection, generally recognised as one of the best collections of Ancient Greek art and archaeology in the country. The home of children’s literature in the UK, Seven Stories is one of the only institutions of its kind in the world. Based in a renovated Victorian warehouse on the banks of the Ouseburn, it houses original manuscripts and illustrations from some of the best known examples of English children’s stories, including works by Enid Blyton and Phillip Pullman. Located in the depths of the Northumberland National Park, just a few miles from the Scottish Border, the observatory views the largest expanse of dark night sky in the whole of Europe. This allows the observation of the Milky Way, passing comets, shooting stars and even the surface of the sun. It also affords walkers amazing views of the Northumberland countryside during the day. A picturesque village on the Northumberland coast in the shadow of Dunstanburgh Castle. Craster is renowned for its kippers, which have been smoked by family firm L. Robson and Sons for almost 100 years. Home to an extensive art collection, including paintings by the likes of Canaletto and Goya, and to the Silver Swan, a 240-year-old life-size automaton which comes alive several times a day. The museum is also known for it’s connection to the Bowes-Lyon family, whose descendants include the late Queen Mother. Based in Teesdale, but with several ice cream parlours throughout the North East and Yorkshire, Archer’s and their herd of Jersey cows have been building their reputation for years and are recognised as one of the best ice cream producers in the North East. Once home of the famous Victorian inventor and innovator Lord Armstrong, Cragside is now in the care of the National Trust who have opened the house and its extensive gardens to the public. 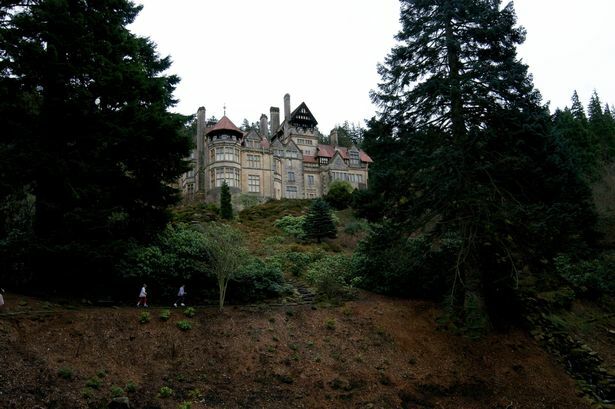 Cragside is also thought to be one of the first houses in the world to fully lit by eclectic lighting. Tucked away out of sight, a short walk from Durham city centre, is Crook Hall, a medieval manor which has been home to some of the great and the good of the city’s history. The hall is also said to be the home of the White Lady, the niece of a former owner who is said to haunt the house.